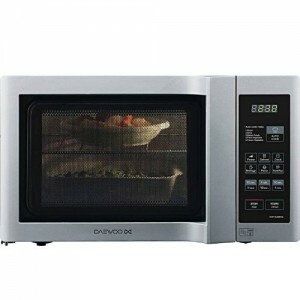 A solid, dependable and easy to use microwave oven. None to mention - we couldn't fault the KOR6L6BDSL. The KOR6L6BDSL is a fairly standard specification solo microwave from Daewoo, offering a 20 litre total capacity, 800w of power output and a slick and attractive silver and black exterior. In terms of design, our test team were univeral in their praise for the Daewoo KOR6L6BDSL - it both looks good, and feels solid - it will suit any modern kitchen style. In our experience, Daewoo make pretty dependable kitchen appliances, and we see no reason to change this opinion with the KOR6L6BDSL. The controls are very well labelled, making operating this microwave incredibly easy, without even having to glance at the instruction manual. The usual features, such as a child safety lock, are built in, and the acrylic interior is simple and easy to wipe down after use. Essentially what Daewoo have created is a simple yet cost effective and attractive solo microwave - if you're looking for a fit and forget solo microwave, that works well and is reliable, then the KOR6L6BDSL is well worth looking at. If you're looking to buy a cheap, easy to use and reliable solo microwave, then we'd highly recommend this model. The KOR6L6BDSL offers good value and should provides years of service. Concave Reflex System - An efficient emission of microwaves helps to ensure that food is cooked safely, evenly and quickly. Dual Wave System - Not a single area is left untouched by microwaves. 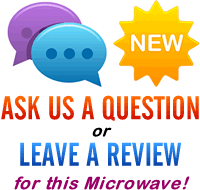 It uses two different microwave sources to give increased coverage for better and more even cooking. Acrylic Cavity - For easy cleaning and maintenance - durable as well as rust-proof. The unique Duo Plate design allows you to heat or cook two items at the same time. Timer - Sets exact times for both cooking or audible reminders. how big is the turn plate?